Tom Bucknell has more than 30 years of experience litigating complex commercial cases in state and federal courts and reorganizing troubled businesses through chapter 11 bankruptcy reorganizations, receiverships and out-of-court negotiations. He is nationally recognized as a leader in his fields of practice. His clients have received in excess of $65 million in fully funded recoveries as a result of Tom’s plaintiff litigation in state and federal courts throughout the western United States. He has won and collected jury verdicts as large as $18 million and has many collected judgments in excess of $1 million. Tom has successfully litigated to judgment or settlement many commercial cases involving director and officer’s liability, lender liability, securities fraud, common law fraud, tortious interference and breach of contract, and many cases relating to insolvency proceedings and involving non-dischargeability claims, preference or fraudulent transfer. Tom has also successfully defended banks, major corporations and individual entrepreneurs in many complex civil suits. He is well known for his lender liability plaintiff’s practice, has lectured on lender liability and commercial litigation across the country, at an ABA convention, and co-authored a leading textbook on lender liability law. He has tried many of his cases with his partner, Jerry Stehlik. The two are willing to consider contingent or partially contingent fee arrangements, when appropriate. Tom’s Chapter 11 practice is equally impressive. 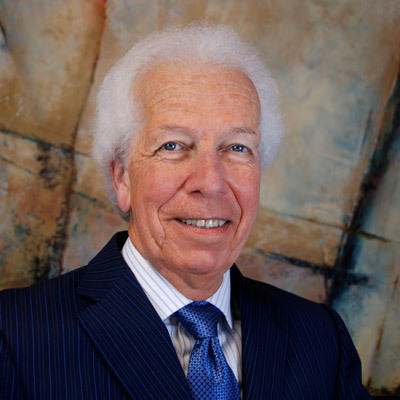 Since 1980, when he co-founded a boutique bankruptcy firm, he served as a pre-eminent Chapter 11 lawyer in the Pacific Northwest. He has acted for debtors, committees, and creditors in cases involving aviation, fishing, natural gas pipeline, and clients in most of the major industries in the Northwest. He is available as a mediator for complex commercial litigation. Tom received an AV rating by Martindale Hubbell and has been honored by his peers as a Washington Law & Politics “Super Lawyer” every year since initiation of that honor in 1999. An in-depth description of Tom’s experience is available upon request.